It’s official: a skeleton found in 2012 under a parking lot in Liecester, England is the remains of the infamous King Richard III. This is–honestly–*big news* for historians & genealogists…oh yes, and for the 100s of millions of people around the world genetically descended from the family to which this poor Richard belonged. The accessibly written and hyper-informative scientific, peer-reviewed published study which details just how they figured this out includes the scoop on Richard III’s male-line-inherited Y-DNA and how it totally doesn’t match the Y-DNA of living descendants of the same male line…which, they’re supposed to match. 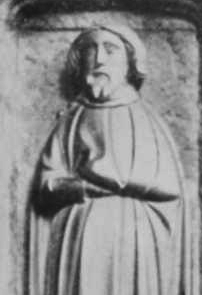 Edmund of Langley, Duke of York; Son of Edward III, ancestor of King Richard III, whose Y-DNA is now known. The two chaps you see pictured either side of this texty bit were brothers, sons of King Edward III. 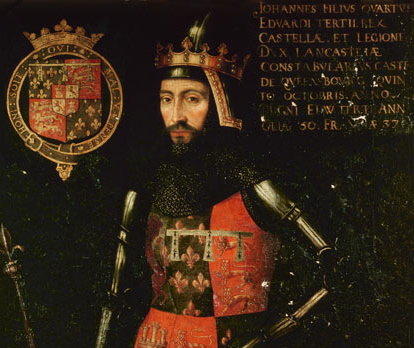 Neither became king, but the much-ballyhoo’d War of the Roses has the one on the left to thank for the House of Lancaster (Henry’s IV through VI), and the one on the right to thank for the House of York (Edward IV, Edward V, Richard III). Said War of said Roses (red and white, respectively) ended up resolved in the form of one rose to rule them all, er, man…one MAN to rule…oh, sorry, one HENRY, that’s definitely better…one Henry to rule them all, since of course, King Henry VIII descended on his father’s side from John (of Lancaster; the one on the left), and on his mother’s from Edmund (of York; the one on the right). 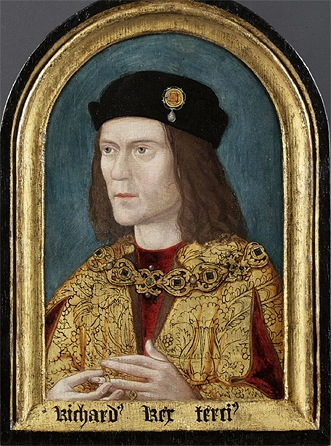 Richard III’s “right of succession” to the throne was based on being a son of a son of Edmund. As fate would have it, there exists a line of man-to-man descent from John (the one on the left) to this very day. But something is–or rather, was–rotten in the state once and futurely ruled [sic] by Denmark*…. The living dudes’ Y-DNA is not the same as Richard III’s (from his skeleton), and yet it should be the same. The only thing that could make these two batches of Y-DNA not match is a break in father-to-son transmission of the Y-DNA…somewhere along the line(s)….and it could be between Richard and the man who’s supposedly the male-line ancestor of all these chaps (4 generations from Richard III back to Edward III), OR it could be somwhere along the 17 generations from Edward III down through his son John, (pictured above Left) to the current living dudes. READ THE WHOLE THING… H E R E … at the Global Family Reunion site. The rabbit hole opens wide, gnarled and deep as the results of the Y-DNA analysis of the remains now confirmed to be Richard III of England are released, along with the results of a comparison to the Y-DNA of other men who, like Richard III, are ostensibly also descendants of King Edward III…and the DNA don’t match, folks! 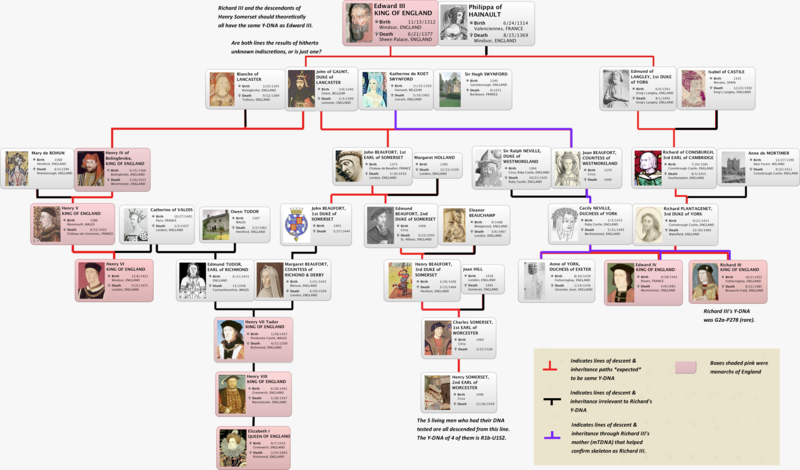 So the question is, where and when was the one or more alternative fatherings of any one or more of the 19 links between the living men whose DNA was tested and the infamous King Richard III? My full post on this is going live at the Global Family Reunion site any time. I’ll update with a link so check back today or tomorrow for that. In the meantime, click here for a handy chart.